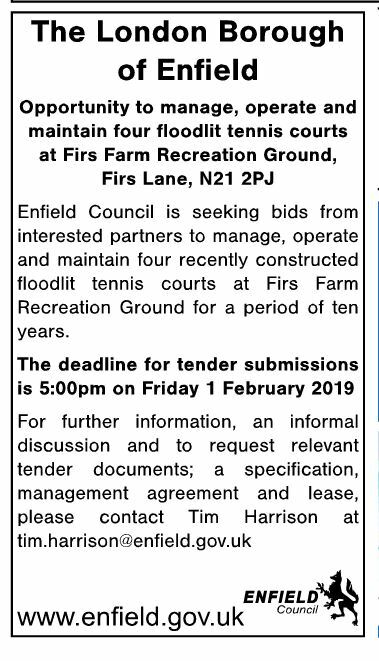 Home » Latest » Tennis Courts in Firs Farm – An opportunity from the Council! on Friday 1 February! Contact: tim.harrison@enfield.gov.uk for further information.